This high quality timber Potting Table is a great way to encourage a child's interest in the natural world and plant life cycle. 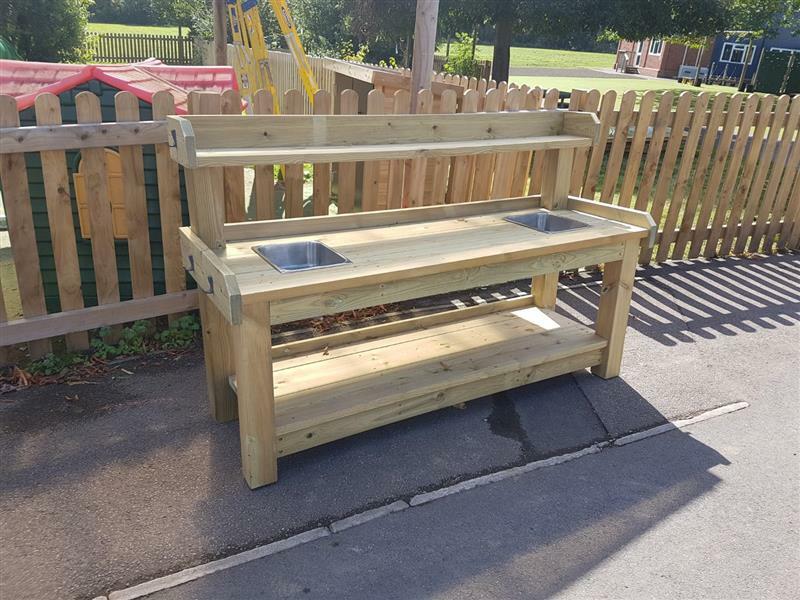 While being an excellent resource for 'hands on' messy play and exploring the natural world, our Potting Table is large enough to be used by small groups. There is also enough storage space underneath the table for an entire classroom which helps keep your environment tidy and organised. Children will also be aware of where to place resources after use and will take full responsibility to keep their potting area tidy. Bringing science outside, children can monitor the plant life cycle closely and investigate the insects and mini-beasts that will be attracted to the area. In addition, we have placed 8 hooks for hanging tools and other resources for gardening and messy play including aprons.